Find an A Cappella Group for hire near you in minutes! Option 1. Enter your event location below & contact an A Cappella Group directly! Option 2. Request multiple quotes from available A Cappella Groups Get Quotes! Option 3. Read information & advice on hiring A Cappella Groups Read Advice! WANT TO KNOW MORE ABOUT A CAPPELLA GROUPS? Read on for the most comprehensive guide to booking an A Cappella Group, including how much an A Cappella Group costs, exactly what they will do at your event, plus tips, advice and information to help make your event one to remember! What exactly will an A Cappella Group do at your event? An A Cappella Group will consist of professional singers that use their amazing vocal abilities to cover all bases in a song. So, you may get a tenor that hits the high notes and carries the main melody, and then you will get a baritone singer who will use deep tones to make up the bass part! There’s nothing quite like the sound of a group of talented singers all singing in unison along to an amazing song. It can bring a tear to your eye and be extremely uplifting as well! When you hire an A Cappella Group, you may get a 3 piece group, a 10 piece group or all the way up to a full Gospel choir! However many members are in the group, you can be sure that an A Cappella Group will shine and impress everybody at your event! When you think of famous A Cappella Groups, you may marvel at recent choirs who have performed on shows such as The X Factor, and Britain’s Got Talent or America’s Got Talent? etc. 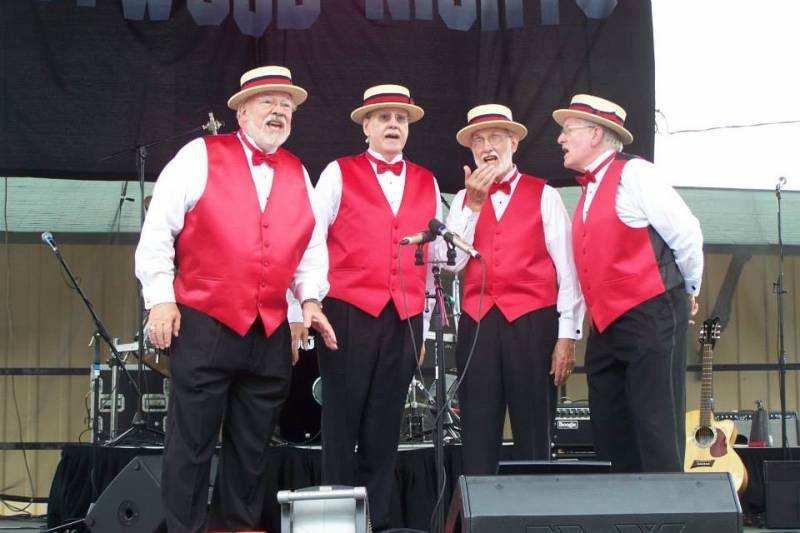 These vocal-only harmony groups are extremely popular and appeal to people of all ages. You may think of the ever popular ‘Pentatonix?’ or maybe ‘Rockapella?’ It could be that you remember the famous 1980’s A Cappella Group ‘The Flying Pickets?!’. There are more A Cappella songs out there than you would initially imagine! How about ‘Don’t Worry, Be Happy?’ or ‘Only You’?. 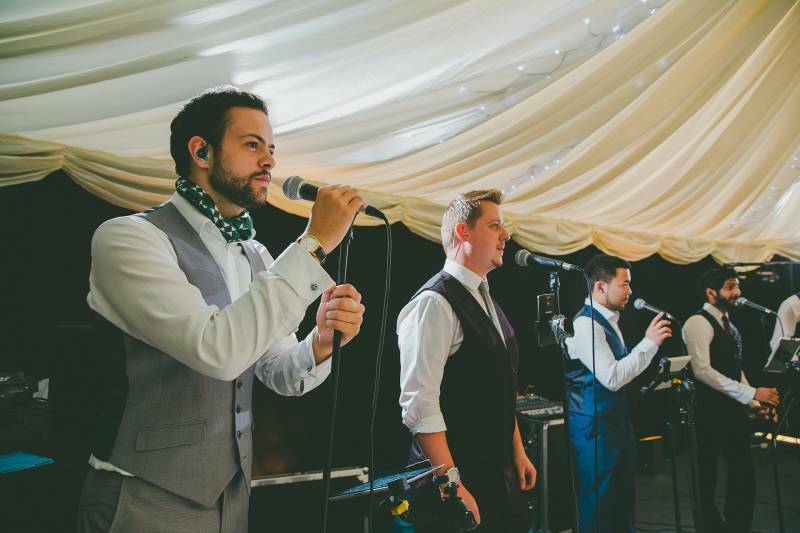 Whether you want a Barbershop Quartet to sing Doo-Wop classics, or a modern vocal group complete with a beatboxer, we’re sure we can help you out! Mainly, an A Cappella Group will entertain your audience with a fantastic live show that will put the wow factor into celebrations and impress your guests, whatever their entertainment tastes may be. What event types are A Cappella Groups hired for? The wedding ceremony is an ideal time to hire an A Cappella Group. Imagine an A Cappella Group singing a romantic harmony based song as the bride walks down the aisle! An A Cappella Group will make the hairs on the back of your neck stand up as they recite a beautiful cover version of the bride and groom’s special song. (May we recommend ‘My Girl’ by The Temptations!) If you are unsure if the A Cappella Group will tackle your song, simply use our personal messaging service to enquire with the group. If you are looking hire an A Cappella Group for your wedding drinks reception then look no further! Here at Entertainersworldwide.com, we have a great selection of A Cappella Groups to choose from! 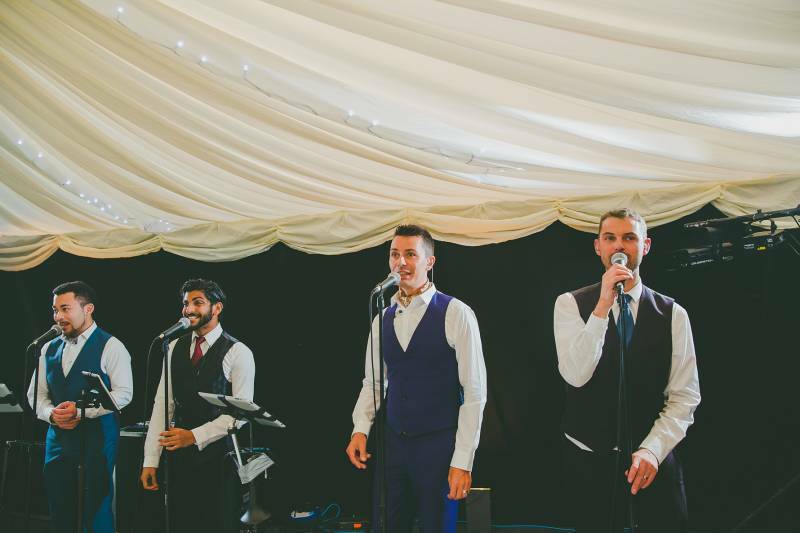 An A Cappella Group can be set-up inside the wedding drinks reception venue or outside (depending on the weather!) They will wow your friends and family with beautiful renditions of classics as the wedding photographer is snapping away! You may be looking for suitable entertainment for your wedding evening reception? Well, booking an A Cappella Group may be the answer! An A Cappella Group can be the main evenings entertainment at the wedding evening or they can also be a great warm up act for later performers. Hiring an A Cappella Group to sing their way through hits of the 30s, 40s, 50s, 60s, 70s, 80s, 90s, 00’s and 10’s is a fantastic way to raise the roof at your corporate event! An A Cappella Act are likely to sing famous Motown hits, Soul, Blues, Church Choir Favourites and much more! Maybe you want to hire a contemporary A Cappella Group with a modern twist who will cover up to date classics which may include Justin Bieber, Adele, Kanye West and Sam Smith. This would be a great way to celebrate a work-do annual event! Booking an A Cappella Group would also be a fabulous way to launch a product at a shopping centre or maybe at a shop opening? A Cappella Groups always stun and captivate an audience, whatever age. You will entice huge crowds when you book a powerful A Cappella Group! Having a birthday party and looking for something a little bit different for your musical entertainment? Then we highly advise hiring an A Cappella Group! These professional vocalists will provide you with a set-list of their repertoire and any changes/requests are down to you! How much do A Cappella Groups cost to hire? Our simple to use entertainment directory allows you to firstly search for the best A Cappella Groups who are local (or travel to your area) and then via the contact form you may message them directly to enquire for a no obligation quote to perform at your event. Some acts will also add a rough price guide to their profile for your convenience. What are the usual set formats and performance lengths for A Cappella Groups? An A Cappella Group can tailor their performance times to suit you and your event, however, on average a professional A Cappella Group will perform for 60-90 minutes. How much space will an A Cappella Group need at your event? This will really depend on how many members of the A Cappella Group there is. There may be only 2 or 3 vocalists in one group, but then another act may have a whole choirs worth! So, the best way to find out is to have a look at the A Cappella Groups on our directory and their bio should state how many members the group consists of. What equipment and set up requirements do A Cappella Groups need? As with most artists who sign up to Entertainersworldwide.com, an A Cappella Group will provide most of their own equipment. This may include: Microphones, mic stands, sheet music and music stands. You may want to enquire if an artist needs a PA to amplify their sound, in which case we would advise to use our easy to use messaging service to find out. We do ask that each performer gets a backstage area in which they can prepare for the performance ahead. If your venue does not have a backstage area, then we kindly ask that you enquire with the venue to seek an alternative space in which the act can comfortably get ready to entertain. How can you find and book an A Cappella Group with Entertainersworldwide.com? Hiring A Cappella Groups, Tips, Advice and How to Book! WANT TO RECEIVE A RANGE OF QUOTES FROM A Cappella Groups?